a high-efficiency, charge-pump power supply that requires only 0.1μF capacitors in 3.3Voperation. This charge pump allows the SP3222E/3232E series to deliver true RS-232 performance from a single power supply ranging from +3.3V to +5.0V. 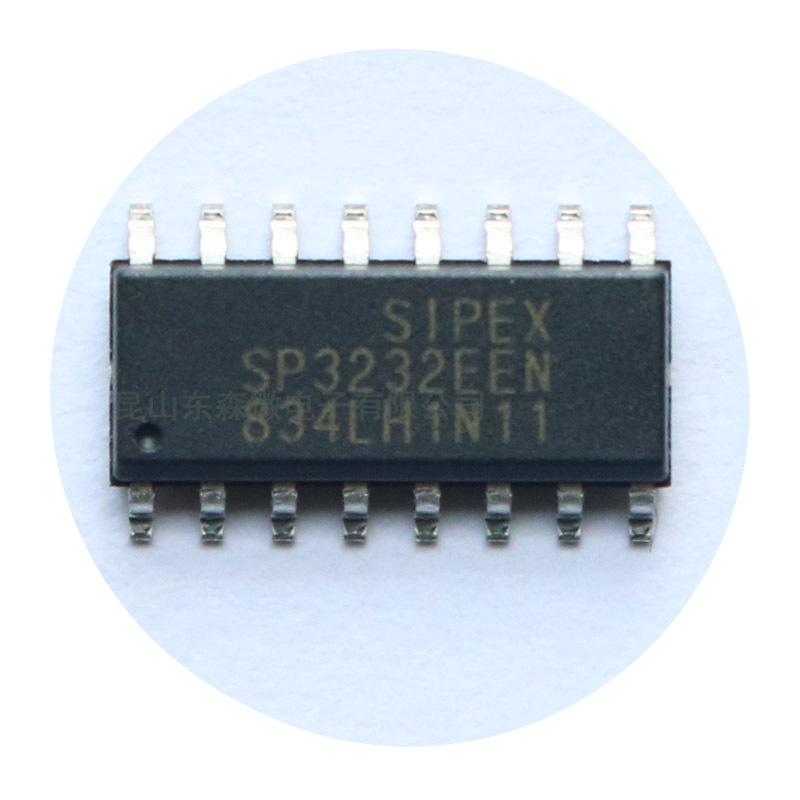 SP3232EEN are 2-driver/2-receiver devices. This series is ideal for portable or hand-held applications such as notebook or palmtop computers. The ESD tolerance of the SP3222E/3232E devices are over ±15kV for both Human Body Model and IEC1000-4-2 Air discharge test methods. The SP3222E device has a low-power shutdown mode where the devices' driver outputs andcharge pumps are disabled. During shutdown, the supply current falls to less than 1μA.